DG Azevêdo with Professor Bernard Hoekman (left) and Andreas Esche (right). 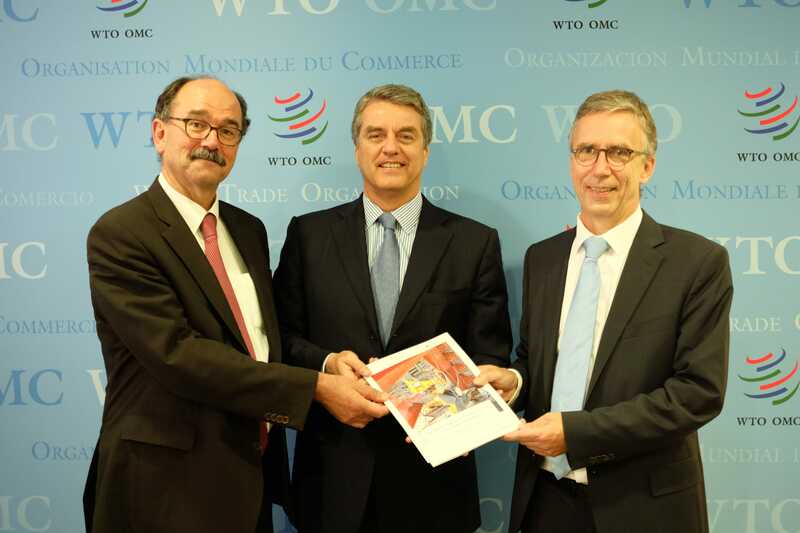 Renewed dialogue is needed by WTO members to address long-standing and recent use of trade distorting policies as well as the future governance of trade. It is by keeping the channels for policy dialogue open that WTO members can best determine the way forward for the organization as an effective multilateral forum for trade co-operation and conflict resolution. The report was prepared by the High-Level Board of Experts independent of the WTO, and the report’s conclusions and recommendations reflect the views of the experts.